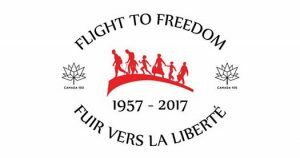 This three-day conference (October 21-23, 2017) explores Canada’s involvement in the central issue of our time: the global search by refugees for a safe home in light of this country’s history of immigration and nation-building. Recognizing Canada’s 150th celebrations and also the 60th anniversary of the arrival and settlement of 38,000 Hungarian refugees during 1957, this conference uses their example to investigate how government and civil society can work together. 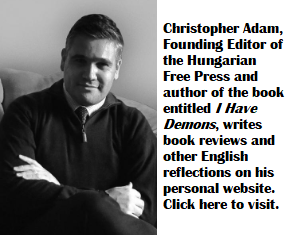 We begin with the example of Hungarian refugees because this was the first time that such a large group of refugees arrived here from one county. That experience, identified by the Canadian government in 2010 as an event of national historic significance, helped shape the development of subsequent refugee policies and programs. 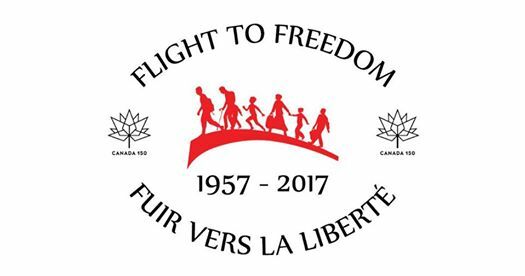 When large numbers of Ugandan Asians and Vietnamese refugees arrived in the 1970s, and more recently the refugees escaping Syria, Canada had the example of 1957 as a benchmark. This bilingual conference will look at the impact of the arrival of refugees from these and other groups on Canadian society and culture. What, then, is Canada’s role today, given the global rise of anti-immigrant and anti-refugee movements? This conference and its diverse cultural component address this important question. The keynote address will be given by The Hon Bob Rae. The conference is open to the general public and is organized by the University of Ottawa, Saint Paul University, The Canada-Hungary Educational Foundation, The Canadian Immigration Historical Society, St. Joseph’s Parish, The Canadian Museum of History, The Canadian Museum of Immigration at Pier 21, and other interested partner institutions and individuals. Please find the Conference schedule here and visit the Conference Facebook page for the most up-to-date information. Canadian Museum of History / Musée Canadien de l’histoire. Registration fees can be paid online through Canada Helps (please be sure to indicate your full name when registering online) or in cash or by cheque on the day of the conference.